Effective market research can help you determine the need or interest level for your product or service. And in today’s information-packed, fast-paced world, consumer habits and attitudes can change on a dime. Ongoing market research is essential to a strategic marketing plan. Market research can be done in a variety of ways – and sometimes we don’t even realize we’re doing it. Each time you read a blog or article related to your industry – you’re doing market research. Those hours I spend on social media – all for market research! There’s one valuable resource for conducting market research that is overlooked by folks outside of the search marketing world: user search data. Every time a user visits a search engine and starts typing, they are revealing what they’re interested in at that exact moment. Each user search query provides a peek into what a person wants, needs or is struggling with. User search data is widely used by SEO marketers. It’s also a valuable resource for all marketers and business owners to research and understand what people are thinking about trying or buying – and when. This is the feature in Google search that guesses your searches for you as soon as you start typing. These predictions are based on what most users have recently asked Google. This is a simple approach to mining search data, but the guesses can be quite telling, depending on the topic. I find it to be a great starting point for generating ideas and prioritizing research topics. Pool floats that look like food are having a moment right now. Side note: it’s a little freaky when Google guesses your extremely specific question about a TV series finale before you’ve finished typing the first word. Try it sometime! 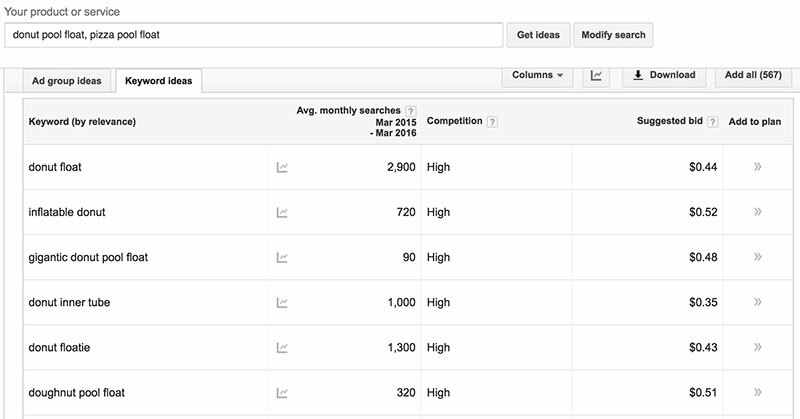 Google’s original keyword research tool generates a list of queries related to a topic or product along with the volume of searches for each one. Think your prospects are searching for one thing more than another? This tool will tell you. It will also reveal the ways in which people are searching. You talk about your product or service one way, but your prospects are likely to be speaking (thinking) in terms you may not have considered. Knowing this can help you align your messaging. This tool is really helpful for understanding seasonal trends. Is spring a good time to launch your new product? Depends, is that when people are researching to buy – or solve a problem related to – your product? 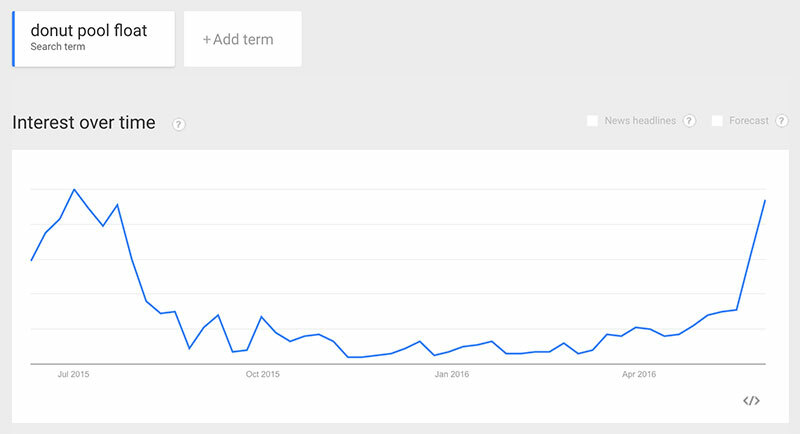 Google trends also provides search volume data by region to spot increased interest geographically. Please be aware that this tool is merely directional as you’re likely to see higher search volumes in populous areas. It’s all relative. I only recently discovered this tool and I wish I had found it sooner. 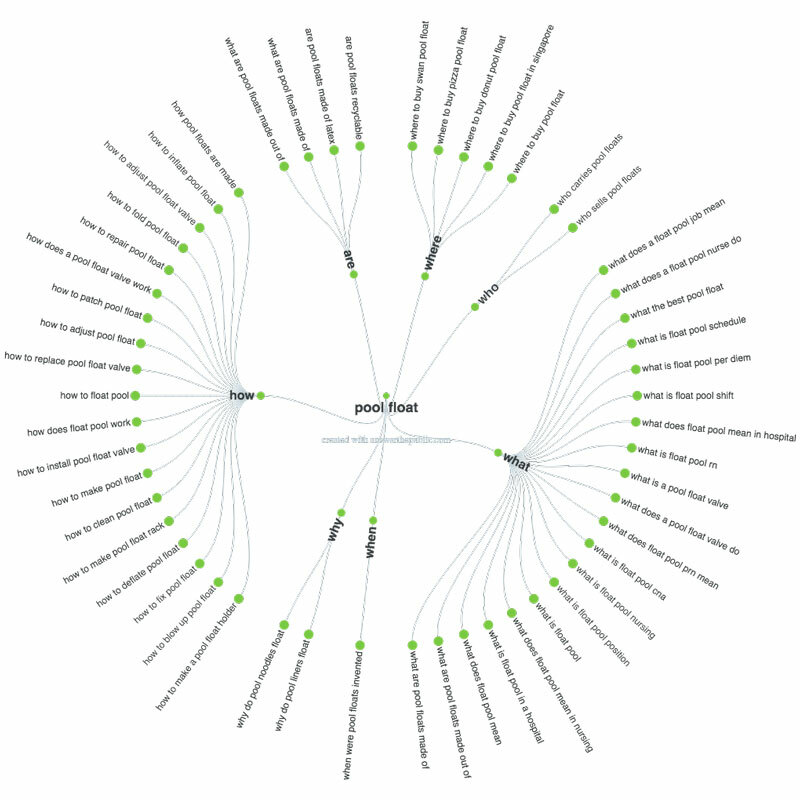 Answer the Public generates visualizations of questions that users are asking around a topic. This is particularly useful for understanding the problems that people are looking to solve related to your service or product. This knowledge can help you to craft messaging and content that speaks directly to your prospects’ needs. It can also help you identify needs that you may not have realized were there. Each of these tools has its own research strengths. One may work better for you based on your research area. It’s also important to remember that using them can take a little creative thinking. If you’re able to put yourself in the shoes of your target audience, you’ll get the most out of your research.